A lot of people have tile installed in their homes because it’s practical and offers a wide array of styles and colors. Sometimes, the variety of textures, styles and patterns can be overwhelming for homeowners to choose between. Design professionals can be consulted with to help you determine which tile and design scheme to go with if you need assistance. When selecting the perfect tile for your home, it’s important to focus on how the flooring will be used. 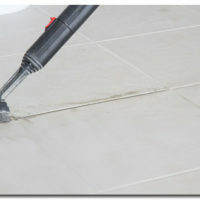 The area of your home that you are laying tile in will determine which type you should install. For instance, for bathrooms and kitchens, you will need tile that isn’t porous, so water won’t be absorbed and lead to the formation of mold and mildew. The tile you use outdoors will also be different than tile you’d use in your living room, bedrooms or hallways. 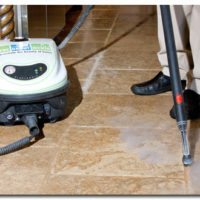 As a homeowner, you have control over how your tile floors will be designed. You can select which colors you’ll use to accent the rest of your decor, along with the trim work that will be used. Keep in mind the size of your room and what the room will be primarily used for. A design consultant can be used to help choose decorative patterns, grout color, grout sealing, trim and layout color. The difference between ceramic tile (unglazed) and glazed tile is that ceramic has microscopic holes, while the glazed tile has filled-in holes that make it more durable and easier to keep clean. The color of the glazed tile may differ from the rest of the tile. Unglazed tile is known as “through body,” which means that it has the same color throughout. Before you purchase new tile for your home, make sure to keep these considerations in mind as you’re shopping. Also keep in mind that tile replacement or grout replacement from the Grout Medic can help you restore the beauty of your current flooring, allowing you to save big money by avoiding a new installation project. Contact your local Grout Medic location to start saving!